You are here: Home / Blog / 2013 Abbey Medieval Festival / Medieval Airport! Food....preserving the body and soul! 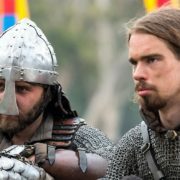 The very first costume competition Q&A with Re-enactors!